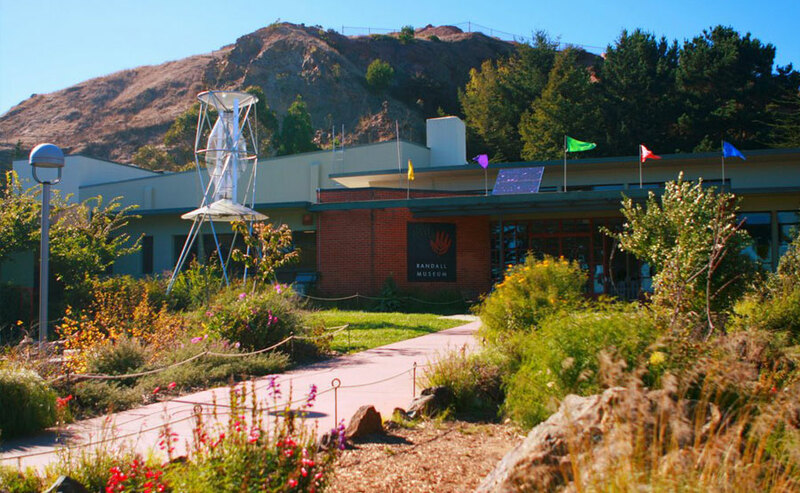 In 2005, San Francisco Beautiful recognized the Randall Museum with a Beautification Award. The Friends of the Josephine Randall Junior Museum organized an informational exhibit to promote sustainable energy devices. Included are two large wind power generators made of thin steel rods and solid transparent panels. Both provide enough energy to run the museum’s interactive exhibits. The museum has also recently improved its facilities with new exhibit and teaching spaces, a dining area, terrace, accessible ramps, and has replaced part of its parking lot with native plant gardens to provide more permeable ground areas.